When properly executed, influencer marketing can generate impressive results. However, this marketing technique is still relatively new. The lack of clear-cut guidelines, rules, and processes makes it difficult to utilize the maximum potential of influencer marketing. Don’t worry! You are not alone in trying to decode influencer marketing. By the end of this post, you will learn to use it to rule the media. However, before moving ahead, let’s first find out what exactly influencer marketing is. In simple terms, influencer marketing involves collaborating with online influencers to increase the reach of your brand. These online influencers can be anyone, including a Web celebrity, an industry leader, or even one of your fans with a significant social media following. Let’s take a look at different types of influencers to gain a better understanding of the influencer marketing concept. Influencers who have the ability to create a healthy debate about your brand to get attention are called agitators. They are one of the best kinds of influencers to engage with your audience. Analysts can make people understand the implications of buying and using your product or service. The different types of analysts include technical analysts, financial analysts, and management analysts, among others. Authorities are also experts in a particular topic. However, unlike experts, they have a less academic personality. They can speak the common man’s language. That’s why they may provide better engagement and reach compared to industry experts. Celebrities are the most common type of influencers. They usually have a large fan following, which is why they are popular among brands. However, they are expensive. People who can connect your brand with their followers are connectors. In essence, they bridge the gap between your brand and your target audience by creating links through content creation. They are the influencers with in-depth knowledge of a particular subject or field. Usually, they have several publications such as books, research papers, and articles to their credit. In short, they are thought leaders in a particular industry. Journalists have the power to talk about new products and services from a news point of view. Usually, they won’t publish a story unless there is sufficient evidence to support the claim. As a result, their word carries a lot of weight. When people leverage their personality, knowledge, and career as a brand itself, they are said to have a personal brand. Their name is credible enough to gather a huge following. They are usually highly successful people such as motivational speakers, management consultants, and writers. How to Implement Influencer Marketing Strategy? The dynamic nature of influencer marketing makes it a challenge to create and execute a result-oriented strategy. However, considering the increase in your brand’s visibility and reach, the efforts are well worth it. Here is how you can approach this unique marketing strategy. If you want your strategy to work, you must know what you want to achieve from your campaign. Goals may vary from business to business. However, generating sales, improving brand reputation, and handling crises are the most common goals. The ultimate goal of any influencer marketing campaign is to generate more sales to increase your revenue. According to a joint study by Twitter and analytics firm, Annalect, around 40% of respondents said they’ve purchased an item online after seeing it used by an influencer on Instagram, Twitter, Vine or YouTube. Though collaboration with immensely popular influencers leads to rapid increase in brand visibility, they are very expensive. So, this strategy may not apply to businesses with modest budgets. If you have a small budget, consider building long-term relationships with micro-influencers as they are relatively less expensive and have a niche following. Tom’s of Maine, a company producing organic personal care products, worked with micro-influencers having 500 to 5,000 followers. The campaign generated 6,496 likes, comments, and shares per 1000 micro-influencers and captured 4,270 survey responses. You can also combine your other marketing strategies such as affiliate marketing, special discount offers, promotional offers, flash sales, and complimentary vouchers with your influencer marketing to generate sales. Find out which tactics are working and which aren’t, and focus your attention on the ones that work for you. Your sales won’t increase overnight. So, don’t shut down a strategy just because it didn’t produce the desired results within a few weeks. As influencer marketing allows you to leverage the reputation of internet personalities who have created a strong following, it is an exceptional way to improve your brand’s reputation. To achieve this goal, however, you need to focus on online views, impressions, and engagement. Influencers often create fresh content for your marketing campaign, which plays a crucial role in improving your brand’s awareness. Nearly 86% of the most-viewed beauty videos on YouTube were made by influencers, compared to 14% by beauty brands, themselves. You can also use feedback from influencers to check your brand sentiment from time to time. This allows you to make the necessary changes in your reputation management strategy in real time. Authenticity and transparency are the reasons why people trust influencers more than the brands themselves. As a result, it builds a sense of trust, increasing your brand’s reputation. Zafferano, a Singapore-based restaurant, picked just 11 influencers and asked them to share their honest experiences and reviews with the audience. Within 10 days, the campaign generated more than 280 comments, 8000 likes, and a combined social reach of 65,000 on Instagram. When it comes to your online standing, not everything will be hunky-dory forever. Eventually, you will come across negative criticism threatening your brand’s reputation. Even global brands such as Pepsi and United Airlines had to face major public relations crises recently. Brands having a strong influencer marketing connection are better equipped to handle a crisis. You can use the influencers and their credibility to sway public emotions, opinions, and decisions in your favor. You can also employ social media influencers to supply your target audience with information, facts, and statistics related to the issue. However, you may need to engage your official communication channels to apologize (if needed) and illustrate the steps you are taking to remedy the situation if the crisis is paramount. Besides, having a team of honest and reliable influencers will help you identify the crisis in its early stages. So, you can contain the issue before it turns into a full-blown disaster. If you fail to partner with the right kind of influencers, your influencer marketing strategy will turn out to be nothing but a waste of resources. However, the criteria to identify the most suitable influencer go well beyond the number of followers they have. Usually, you need to consider the relevance and the level of engagement when selecting the right influencer. Relevance (with your brand) is the most important factor to identify the right influencer. Unfortunately, most marketers tend to favor reach over relevance. Go through the social media content of an influencer to make sure it aligns with your brand, product or service. 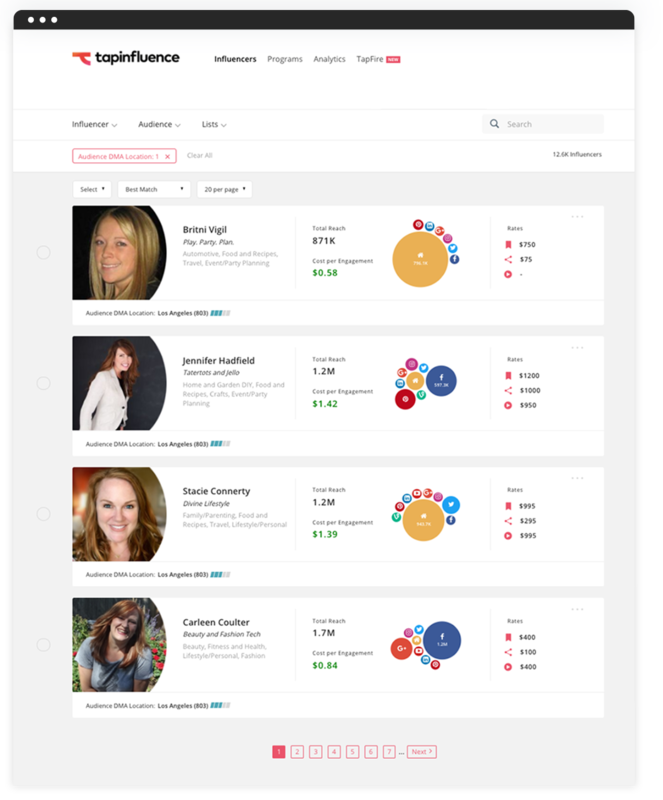 Using an influencer marketing tool such as Tapinfluence makes it easier to find vetted influencers having a reliable reach and loyal following that resonates with your brand and niche. Not only their content, but their followers also need to resonate with your brand. So, make sure their audience aligns with your brand. Usually, micro-influencers are the best combination of these qualities. They often have a niche following in a particular market segment as followers hold their opinions and views in high regard. According to Markerly, influencers with a higher number of followers have the lowest rate of engagement (likes and comments) on Instagram. Users with more than 10 million followers only received likes 1.6% of the time, while those with less than 1,000 followers usually received likes 8% of the time. Engagement is the second most important metric in identifying suitable influencers. What is the point of having a huge number of followers if they don’t interact with the influencer’s content? Conversations (comments and replies), applause (likes), and amplification (shares) are the three key indicators of engagement. So, find out how often the followers respond to, comment on, and share the influencer’s content. Find out how many followers keep coming back for more information as this is also a crucial indicator of engagement. The greater the number of returning followers, the higher is the engagement. Reach is an important factor only if it is considered in conjunction with relevance and engagement. Make sure that the influencer is reaching your brand’s target audience. Getting a mention from Selena Gomez on her Instagram account may work for a beauty brand for teenage girls. But, it certainly wouldn’t work for a brokerage firm because Selena’s teenage fans wouldn’t be interested in buying a house. HYPR is one of the best influencer marketing tools out there. You can get the analytical report of every influencer, allowing you to find out if they are reaching out right audience or not. Consider your marketing goals as well. If your campaign is more visual and comprises plenty of photos and videos, maybe you should look for someone with a decent following on Instagram. On the other hand, a blogger is your best bet if your campaign is textual. Your influencer marketing strategy will be a sitting duck if you fail to rope in the right influencers. Unfortunately, when it comes to connecting with the right influencers, there are no quick wins. So, focus on nurturing your relationships with them. The best way to connect with the shortlisted influencers is on social media platforms. Something as simple as a comment, tweet, or a mention can be the beginning of a long-term relationship. Make sure to subscribe to the influencer’s blog RSS feed. Always use “@mention” to link to your influencers and their content. Share your comments and views, answer questions, or ask questions on a particular topic in your niche. The Buzzstream influencer marketing tool lets you track your conversations with conversations and follow-up with your influencers. You can also invite potential influencers to take part in online conversations. However, never cross their personal boundaries. After all, you don’t want to appear like a stalker. Now that you have a good idea of what your influencer marketing strategy is and have set your marketing goals, it’s time to approach them with an offer they can’t refuse. Always address the person by name to add a personal touch to your pitch. However, don’t go overboard with the idea of keeping a light and personal tone. Make an extra effort to create a catchy subject line that will encourage the influencer to open your email as most influencers receive hundreds of emails every day. Get right to the point. Don’t squander your first impression by writing passage after passage about your company, its values, and work culture. Keep the pitch focused on their role in your marketing and PR campaign. Here’s a great outreach email template. At all costs, avoid sending a generic pitch to multiple influencers. You must treat every influencer uniquely. Pitchbox lets you send customized email pitches to potential influencers with automatic follow-ups and manage the complete outreach process. As a digital PR agency, you are expected to make an explicit offer for their role in your marketing campaign. Don’t leave it to the influencers to figure out how they would like to be compensated. Set a clear deadline for the acceptance of your offer. Usually, a small time frame (2-3 days) is more than enough as most influencers will make their decision as soon as they have gone through your email. The next step is to execute and promote your campaign to generate the desired results. Keep in mind that you must utilize every influencer to their full potential. Getting as much visibility as possible is essential for making your campaign successful. However, avoid social media channels where your target audience doesn’t hang out or isn’t suitable for your product or service. The wallpaper brand Milton & King used Instagram influencers to promote their product. They collaborated with home, interior, and design communities of influencers to create and publish aesthetically pleasing photographs of their product. The campaign ended up generating 83,971 direct engagements and 10,000+ new social media followers on key platforms. When executing and promoting your campaign, make sure to go for a consistent look, feel, and tone. This is the best way to ensure that your own social media accounts and influencers are promoting similar posts on social media. Review your content before publishing it to ensure it is consistent with your marketing goals. HootSuite, a popular influencer marketing tool, not only ensures that approved content is shared but also lets you manage and organize all your content in one place. Know your influencer’s personality and use it to your advantage. Old Navy, an affordable clothing chain, for instance, collaborated with Meghan Rienks to create an influencer marketing campaign. Meghan’s comic and witty lifestyle content has increased the level of engagement considerably. In order to reach the maximum number of audiences, ask the influencer to promote the content on various social media channels. Meghan promoted the Old Navy brand across YouTube, Instagram, and Twitter. Just like measuring results for any other marketing and PR campaign, you need to measure your influencer marketing results to make sure the campaign is on the right track. You can track various metrics such as likes, comments, shares, sales generated, and the number of followers to measure the success of your campaign. Consider using tracking pixel to keep track of your website visitors. 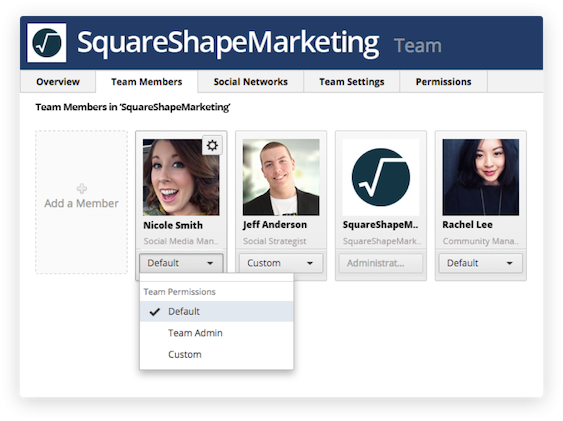 Though this tool is usually useful for blogs and Facebook, it can also be applied to other social media platforms such as Instagram, LinkedIn and Twitter. 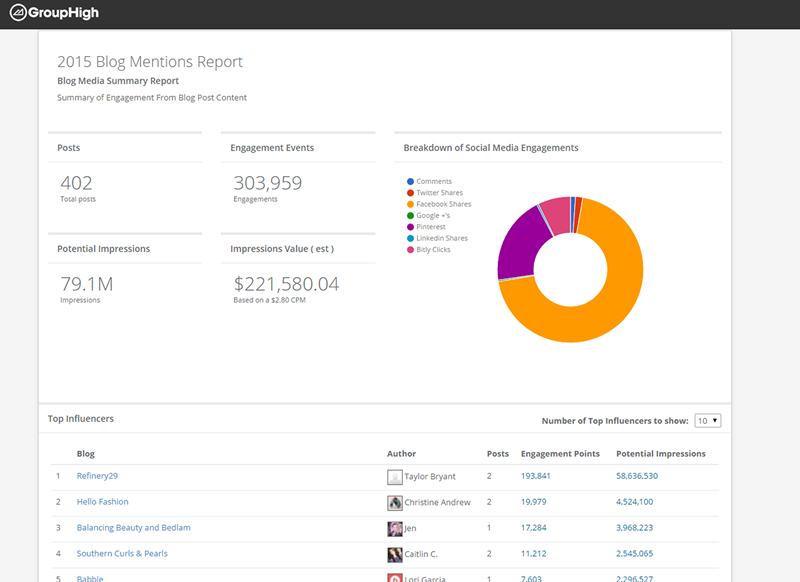 You can also use influencer campaign management tools such as GroupHigh to measure how much traffic your influencers are driving, tracking impressions and engagement. Influencer marketing has become one of the most popular marketing strategies only in the last few years, particularly with the advent of social media. It allows your brand to engage with your target audience, eventually resulting in increased sales. Still, due to the lack of clear guidelines and instructions, most marketers fail to exploit this marketing method to its fullest extent. These tried and tested tips, however, will help you understand, plan, and execute a comprehensive influencer marketing campaign that will take your PR campaign to the next level. The image below explains in brief about all the points discussed in this article.